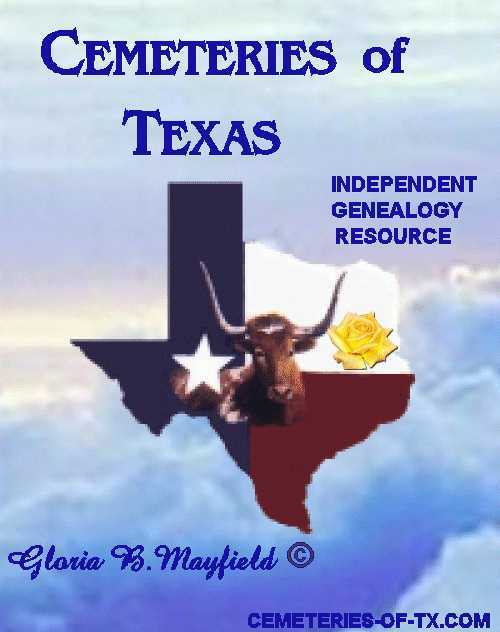 Welcome to the FREE site dedicated to obtaining, creating, and presenting Texas cemeteries as they are today. This project began as "West Texas Cemeteries" a small site of just 9 counties. Today the site covers the 254 counties of TX at plus some of the surrounding states of New Mexico, Oklahoma, Louisiana, Arkansas. The goal is to obtain cemetery histories, inscription records, directions and photographs of each cemetery or burial ground. So feel free to browse all you want, and check back often, because things are added daily. Hope you enjoy. We hope that this will make Cemeteries of Texas available to all researchers at all times. Don't know the TX City or County? Why I do What I do!!!! The General Land Office offers a searchable database of our land grant collection. The Land Grants of Texas tell the story of the settlement and early history of Texas. and the husbands application number if for a widow pension.